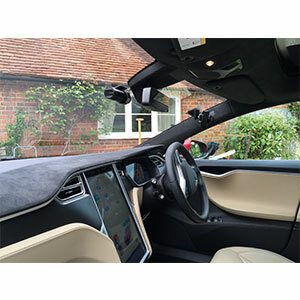 At Dash Witness we install dash cameras on a wide range of vehicles across the UK, from popular hatchbacks to more exotic cars, like this Tesla Model S.
The BlackVue DR650GW-2Ch meets all of these specifications. 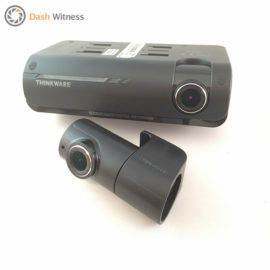 It is able to be fitted neatly behind the rear view mirror and out of sight to the driver, has full 1080p HD front recording and 720p HD rear recording. 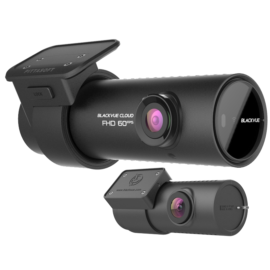 The owner purchased the BlackVue DR650GW-2Ch and organised the camera to be fitted with one of our experienced engineers. Firstly, the power feeds were taken directly from the fuse board using Add-A circuit adapters, this supplies the camera with its own fused circuit. 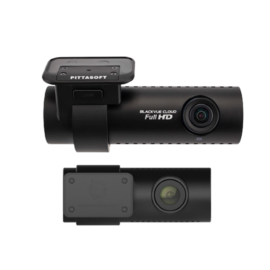 We find this the best method of installation as it is neat, and also allows the camera to be removed easily if necessary. 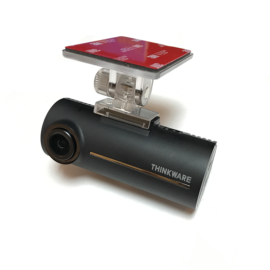 With the additional Power Magic Pro, (hardwire kit) the system is able to monitor the voltage of the battery and turn off the camera if it becomes too low, it also allows the parking mode feature of the camera to be used. 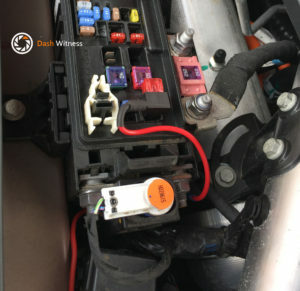 The next part of the installation was feeding the cables through the body of the vehicle. We were able to ensure all of the cables were hidden from view. The final step in the installation process was testing. 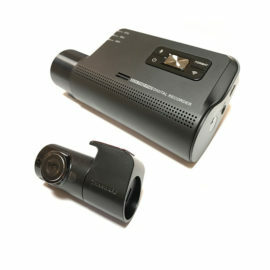 The engineer followed a comprehensive check list specific to the camera to ensure everything was working correctly. 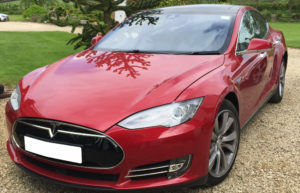 We pride ourselves in providing outstanding customer service and will be happy to answer any queries you might have prior to purchasing and after. 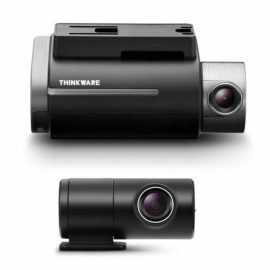 If you are looking to buy and install a dash camera please call us on 01865 598599 or use our contact page. 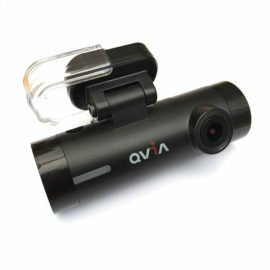 Or if you know what you are looking for visit our shop where you can select a camera and order directly.